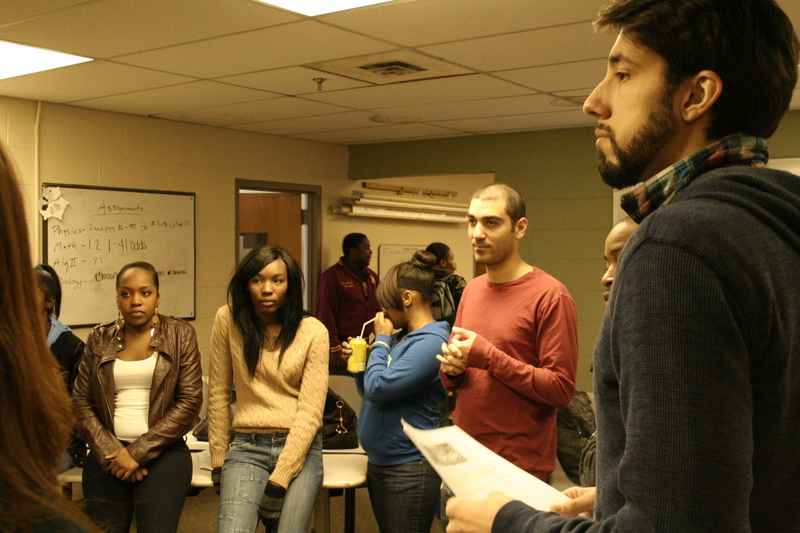 This is Carey, a Program Manager of the Unity MNIC program for YEA Corps. I’ve been writing blogs for the past few months with updates of an aquaponics project that YEA launched at a high school in North Minneapolis. I was initially pulled to YEA for it’s focus in sustainable and entrepreneurial education. Through my work with YEA I’ve been immersed in the challenging and exciting ventures of teaching students about agriculture, the environment, aquaponics, and other related subjects. It’s been exciting to observe the positive trends in emerging environmental education programs in Minneapolis and around the country. All that I’ve learned has given me a great amount of hope in shifting education systems and providing the next generations with the knowledge and tools to face oncoming environmental challenges. 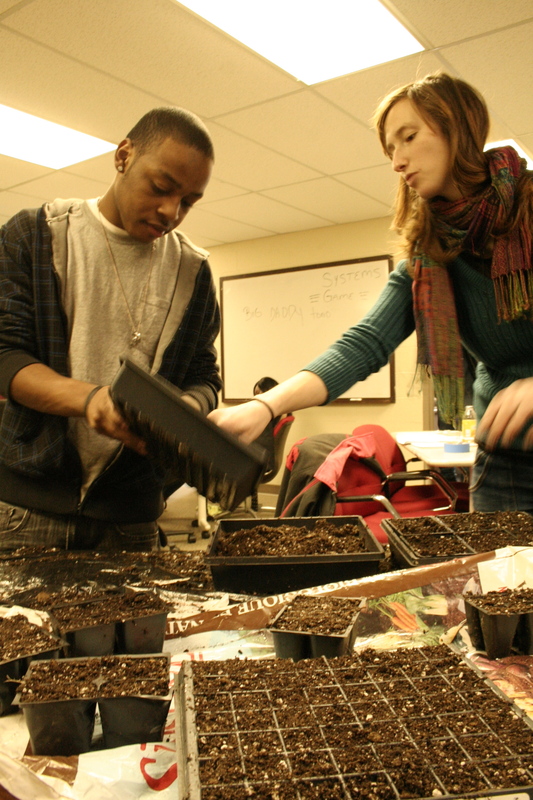 I was lucky enough to become a part of YEA Corps through a Grand Aspirations grant for Sustainable Community Organizers, and I’ve been very appreciative of the chance to work with these organizations and on the Unity aquaponics project. As many of us 20-somethings are experiencing, the world of employment can be difficult. I am 22 and recently graduated with a degree in Environmental Studies, and am in the early stages of grounding my feet in a career path that fits me. I’m currently in the process of taking on a new job that’s located in Seattle, and thus ending my part-time position with YEA Corps and Grand Aspirations. The relationship I’ve made with Grand Aspirations has pushed me to grow and to gain professional experience that lead me to getting the position of Food Resource Coordinator at the Pike Place Food Bank. The knowledge I’ve gained and work experience I’ve gained from Grand Aspirations, Summer of Solutions, and YEA Corps has propelled me into new opportunities in a field I’m passionate about. I will stay connected to YEA Corps and Grand Aspirations, and will definitely be a lifetime advocate for the work of these organizations. The Unity Gardens are launching the Spring Semester tomorrow with an awesome team of YEA staffers who will be leading the program into the summer. I won’t be able to witness the progress of the program and finishing construction of the aquaponics set-up at Unity, but YEA has developed a solid team to carry out the project. YEA expects to have the aquaponics system in production by February, and tomorrow we will push the process along by planting tomato, pepper, and onion seedlings with the students. A challenge at Unity is actively engaging students in the program, but YEA has reached more than 40 students in some capacity since the beginning of the school year. I was often surprised by the performance of students, like Tom’s commitment to painting the aquaponics classrooms at Unity, Marlecia’s holistic understanding of the systems and the project, or Ashley’s excitement about writing a blog on Unity Gardens. The students are really taking ownership of Unity Gardens, as they should. 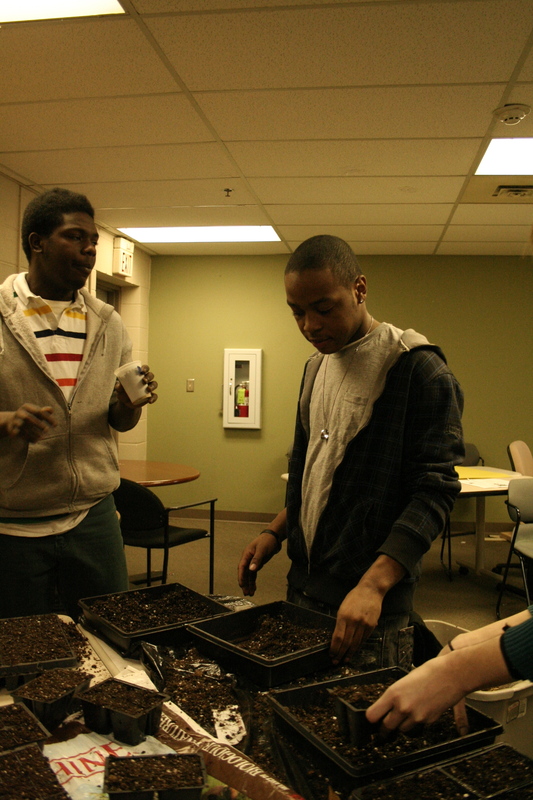 Ashley is a student at Unity, and below is a blog she wrote for Unity Gardens. This entry was posted in Alumni Spotlights and tagged aquaponics, Carey deVictoria-Michel, unity, yea corps by s0luti0naries. Bookmark the permalink.